Fans of our old and faithful “effect preview girl” will be sad. We’ve just released our new version with real-time generated preview thumbnails. 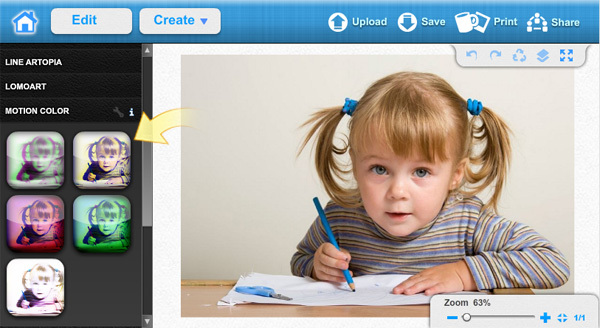 This means you will instantly be able to see how a photo effect will look like on your uploaded photo. Please note that this feature works in Photo Effects only. It would take too long if we did the same thing in Artsy Effects. Another new thing is the look and feel of menus, buttons, etc. We’ve covered them with some elegant textures. Hope you like it. Let us know what you think about the new features in the comments section below.